Google returned a search result from a shady online forum "4chan" that named the wrong man as killer, while Facebook's 'Safety Check' feature confronted users with far-right blogs that spat out false information about victims and the shooter, as per a report. Technology giants Google, Facebook and Twitter -- already facing flak for presence of false news on their platforms -- failed miserably to stop publishing fake news related to Las Vegas massacre in which at least 59 people died and over 400 injured, media reported on Tuesday. According to a report in technology website Siliconbeat, Google returned a search result from a shady online forum "4chan" that named the wrong man as killer. "While Facebook's 'Safety Check' feature confronted users with far-right blogs that spat out false information about victims and the shooter, Twitter displayed false rumours and information about 'missing' people who were not connected to the episode," the report said. In one of the deadliest mass shootings in American history, a gunman in a high-rise hotel in Las Vegas opened fire on a huge outdoor concert festival, sending thousands of terrified survivors fleeing for cover. 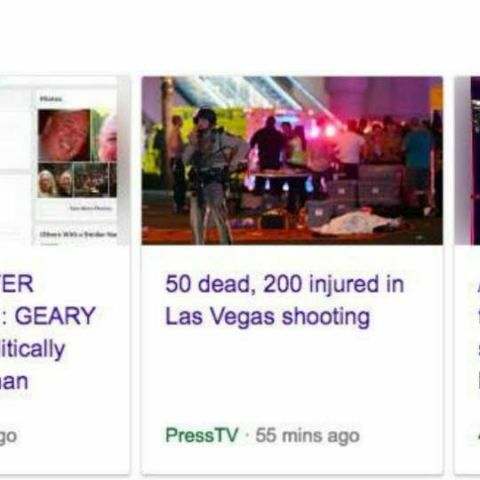 While authorities identified the gunman as 64-year-old Nevada resident Stephen Paddock, Google initially showed result from "4chan", which identified the killer as Geary Danley, into its "Top Stories" section. According to Buzzfeed, fake news regarding the incident may have its roots on Twitter, with false reports appearing within minutes of the shooting. Several accounts pointed the finger at an "Islamic convert" who is actually a comedian beloved by the far right. Then the false reports of "missing" people started popping up, Buzzfeed reported.